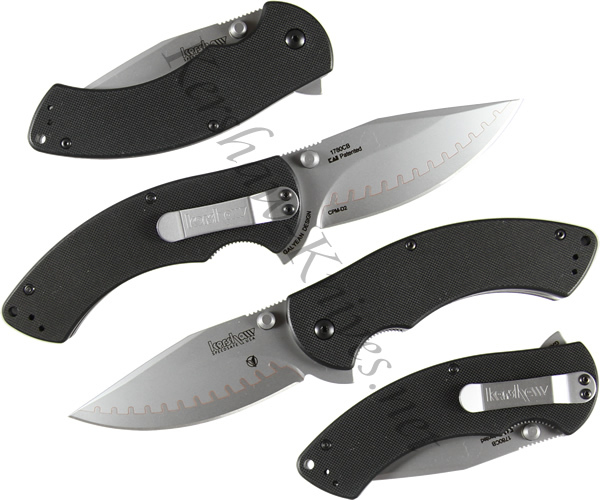 There is no knife like the Kershaw Rake model 1780CB. What makes this knife stand out against other wannabes is the composite blade with a curved belly. The curve in the belly makes the knife great for slashing and slicing. High quality D2 steel is on the cutting edge of the blade while reliable Sandvik 14C28N makes up the remainder of the blade structure. Textured G-10 overlays and steel liners are what the handle is made of. As far as performance, the Kershaw Rake is assisted opening with the help of both ambidextrous thumbstuds and a flipper on the spine. And even better, this knife was MADE IN THE USA.